Finding the right amplifier for yourself isn’t as easy as listening to a couple of amps your friend is suggesting, going to the store, and just picking up one of those amps randomly. One amplifier that is absolutely the best fit for your friend may be a complete flop for you, so it’s incredibly important that when you’re going shopping for an amplifier, you properly test out an amp before purchasing. How do you test out a guitar amp? Maybe you already know everything there is to know about amplifiers, which is totally okay! But one thing that not a whole lot of people know how to do is test out prospective amplifiers when shopping around a new amp, before swiping their credit card and finalizing a purchase. Just as you would try on a new pair of jeans before you decide to buy them, you need to test out an amplifier before buying. While all guitars are built with the same idea in mind, not all guitars are built the same. Even if the store that you’re going to has the same exact make and model as the guitar you own, the guitar that you own is going to have been worn differently than the guitar the store has in stock. A guitar that you’re not used to handling (even if is literally the same exact guitar) can produce a brighter, more lively sound than your actual guitar produces with the amplifier. Just don’t do it; it’s so much easier to bring your own guitar than have to go through the hassle of returning the amp you just bought and go through testing out another round of amps. Depending upon the store that you go to, the sales person that you end up dealing with may be getting some sort of a kickback on the amplifier that they assist you with buying. Whatever you do, don’t get pushed into buying something bigger or more expensive than what you actually need- you’ll regret it later. Before you go in, figure out what kind of amplifier you actually need. If you live in an apartment and have a room that you practice guitar in, don’t get pushed into buying an 80-watt amplifier that would be too big of an amplifier for your at-home practice. At the same point, you also want to make sure that you’re an amplifier that’s big enough for whatever your primary application is going to be. Even if you already have a ton of experience working with amplifiers and have a solid understanding of what types of amps you enjoy the sound of the most, you should still follow through with this testing tip. 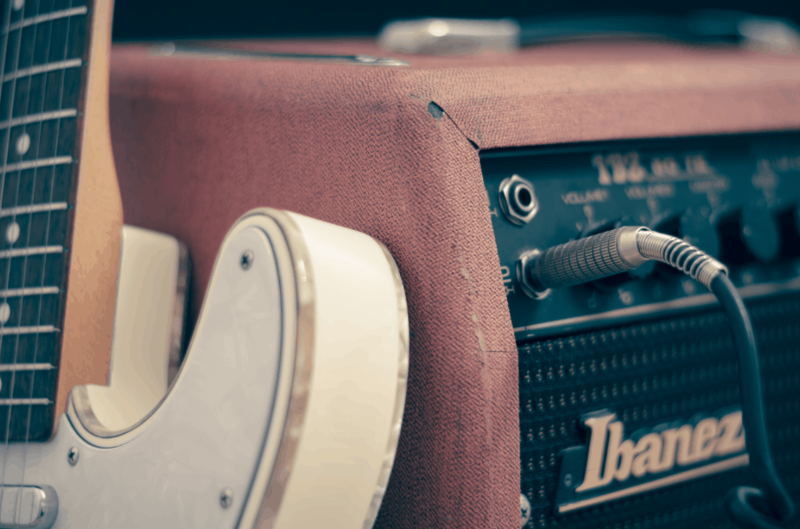 Tube amps have their die-hard fans, just the same as solid-state amps and digital amps have, but that doesn’t mean that you need to stick to using one type of amplifier. Sticking with one type of amplifier will keep you in your comfort zone and won’t really encourage you to play around with your sound, so I always highly recommend people shopping around for new amplifiers to take a blind listening test. A blind listening test will give you the option to listen to all three types of amplifiers unbiased, letting only your ears be the judge to the different sounds the different amplifiers create. Even if you’re someone who is super stuck in your ways, you may find that you enjoy the sound of one amplifier over what you usually pick! I never really hear anybody talking about the importance that speakers have in accordance to the relationship has with the sound that you’re producing, but the speakers are literally the most momentous part of the amplifier. The speakers are what take all of the work that the electronics put into altering your sound and project that sound to your audience (even if you’re just playing for yourself). Different sized speakers create different tonal attributes, which is why you need to look at the size of the speaker that same way you do the wattage rating of an amplifier. This explains why you will notice a difference in the tonal characteristics of an amplifier that has a closed-back cabinet when being compared to a speaker that has an open-back cabinet. You don’t want your amplifier to produce a buzzing sound, so how do you figure out if the amp you’re about to buy is going to produce a buzzing sound? Unrestricted preamp distortion can sound really compressed and can sizzle when at high volumes although gain controls do have the ability to let you dial into clear distortion when your amp is set to a low volume. You can test for a buzzing sound by turning down the gain and turning up the master volume control on the amplifier; adjust the amplifier until it is set to an output level that you’re used to play at. Once you have the amplifier set to your regular output level, slowly inflate the gain until you have your sound distorted to your personal preferences. If you notice that while you’re increasing the gain that your tone doesn’t have a dynamic contrast or that your tone sounds buzzy, go find yourself a new amplifier to test out. When using an amplifier, you should be able to turn into a sound that you want to play with quickly, without too much hassle. If you’re finding that you’re having a hard time turning into a tone that you like while you’re in store, you’re going to have the same problem when you’re at home playing. Also, don’t forget to take some time and play around with each tone control to see how all of the tone controls interact with one another. Sure, extra features are really fun, but all of that extra fun comes with a he hefty price tag. Volume and tone controls are going to absolutely be the most important controls on your amplifier, but if you’re looking to have a few extra features on your guitar, get an idea of what you’re looking for before you start shopping. It’s too easy to get sucked into buying an amplifier that has a bunch of different features on it that a salesperson will convince you that you need, but if you didn’t decide before you started shopping that you needed those effects, spend some time checking out amplifiers that have the effects that you do need on it. 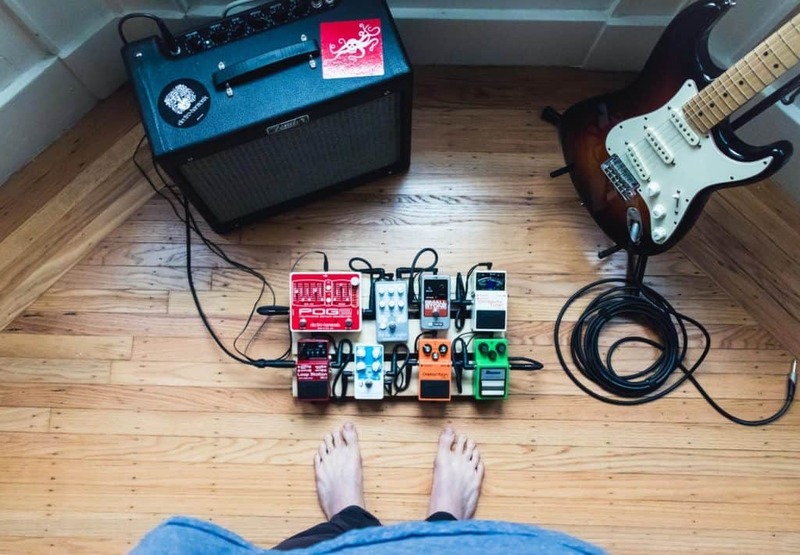 Extra built-in effects that come on an amplifier are wonderful to have around if they aren’t too much of a hassle to deal with, but they may not be as easy to work with in comparison to external effects pedals. Sure, it’s nice to know how to test out an amplifier… if you had any clue on how these things worked. If you know what the general idea of an amplifier is, you’re off to a great start! A great amplifier can make the cheapest of guitars sound like a million bucks, but a poor-quality amplifier will take the most expensive guitar in the world and make it sound like the worst guitar ever built. Before getting into figuring out what type of amplifier would be the best for your specific purposes, you should have a basic understanding of how the signal from your guitar travels through your amplifier and out through a speaker. When you connect your instrument to an amplifier, you’re actually plugging your guitar into the amp’s preamp. The preamp takes the signal that your guitar creates and puts it through the Bass, Middle, and Treble controls, and processes it based upon what you have your controls set to. Once the signal is done being processed by the preamp, the signal is carried into the power amp. The power amp is responsible for boosting your guitar’s signal and sending it through the speakers of the amplifiers, which is where the signal is converted back into a sound. In short, your guitar gets plugged into the preamp; the preamp controls the Bass, Middle, and Treble. The preamp sends the signal over to the power amp, which controls the volume of the signal. The preamp sends the signal through the speakers, which convert your signal into sound! What’s the difference between a combo vs a stack? The first thing that you may noticed while shopping around for an amplifier is that some amps come as one piece, while other amplifiers come with two separate pieces. The difference between these two types of amps is that the amplifier that comes in one piece is known as a combo amp. A combo amp holds both the speaker and the amplifier in one box. On the other hand, the amplifiers that come in separate pieces are called stacks and hold the speaker and the amplifier in separate components. Go to a large concert and you’ll find that most of the amplifiers there are stacks, as stack amplifiers are more capable of producing louder, larger sounds. Don’t let that statement make you think that combo amps are quite amps, because combo amps still hold a lot of ground when it comes to their volume production! Even while stack amps are capable of filling entire venues with sound, combo amps are the more popular choice because of their mobility and cheaper price tag. Unless you’re a musician who is need of an amplifier that’s going to produce huge sound, the better choice for you to make is to go with a combo amplifier. 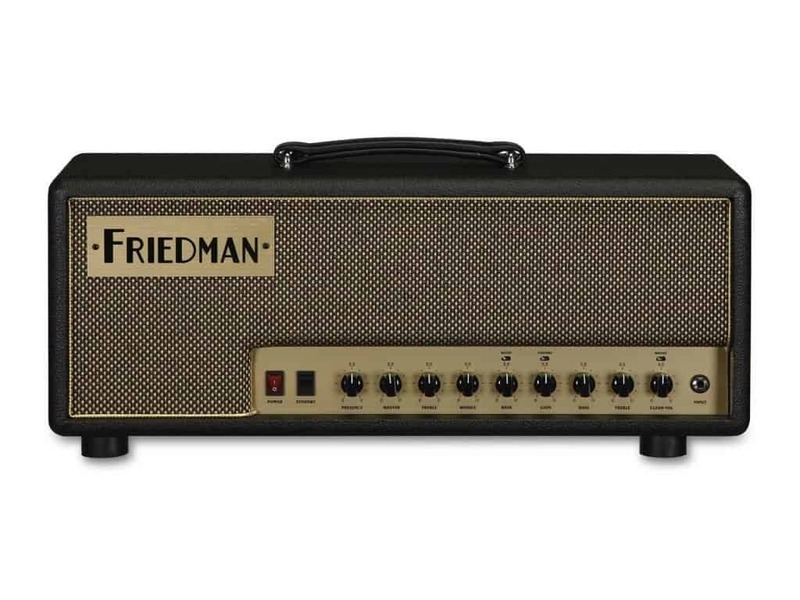 What’s the difference between a tube amp and a solid-state amplifier? 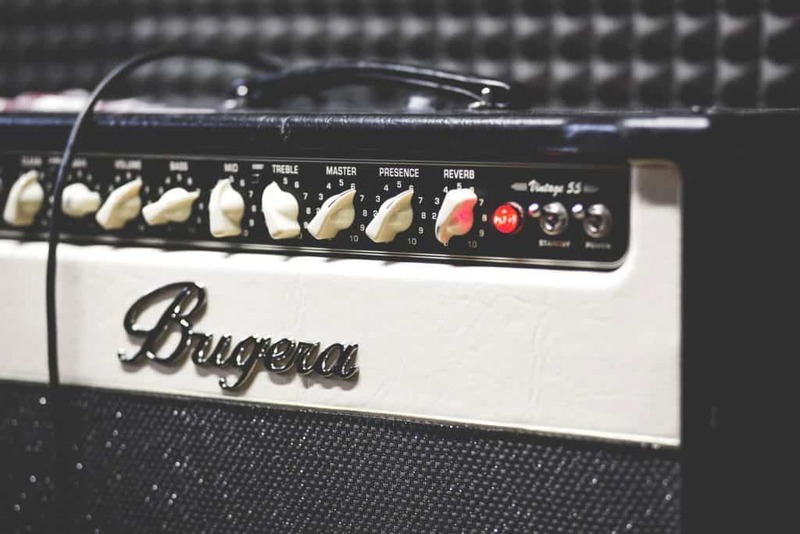 If you’re a newbie to the world of amplifiers, the biggest question you probably have is in regard to the difference between solid state amps and tube amps. – What’s a solid-state amp? – What’s a tube amp? – Which one should I buy? Solid state amplifiers have a cleaner sound, but doesn’t have as unique of a character or sound as tube amplifiers do (which is why tube amplifiers are much more popular. However, solid state amplifiers are the ‘newer’ amplifier, which means that manufacturers have found a way to make solid state amps cheaper, lighter, easy to tote around, to require less upkeep, and more durable. One really great thing about the development of solid state amps is that manufacturers have created a hybrid between solid state amps and tube amps, with vacuum tubes used inside of the preamp and solid-state circuitry used inside of the power amp. This gives musicians a very similar sound to a classic tube amp, but with less maintenance and more durability. Tube amplifiers are a popular choice for musicians who are looking for a unique, natural distortion. Tube amplifiers create a warmer sound that has more of a character to it, which can’t be replicated by any other machine or pedal. At a lower wattage, the tubes in tube amplifiers to be saturated and distorted without having to drastically increase the volume. The majority of tube amps are also a lot louder than solid state amps are, even if the speakers and wattages are the exact same that you find on a solid-state amp. What do watts do for an amplifier? Let’s keep the discussion about watts nice and simple: the larger the wattage is on an amplifier, the larger the sound the amplifier is going to produce. Okay, that makes sense. But, how many watts should I get? Does the speaker size really matter? Yes, absolutely! The speaker size has a bigger impact on the flow of your overall tone and the dynamic range of your sound than the amplifier does. If you’re looking for the loudest sound that you can possibly achieve, get an amplifier that has a lot of large speakers. Large speakers mean more noise, just in the same way that more speakers mean more noise. But, that doesn’t necessarily mean that larger speakers are the right thing for you to invest your money into. Smaller speakers reproduce higher frequencies more efficiently, while larger speakers are better for reproducing lower frequencies. 8” speakers are typically the standard size speakers that are used for practicing. The smaller sized speaker won’t pick up as much bass, which means the sound isn’t going to travel as far (no worries about noise complaints). 10” and 12” speakers are great to use for small venues, especially if you use two. If you’re looking to buy an amplifier to use at medium to large venues, you’ll want to have four speakers to fill your venue with sound. Probably the most overlooked feature on a guitar amplifier is the cabinet construction, because depending upon the type of wood used in the construction of the cabinet, the thickness of the wood used, and the general workmanship of the cabinet, the cabinet can alter the overall tone of either (or both) the speakers or the amplifier. Closed back guitar cabinets have a more directional sound, meaning that the sound is only projected forward. As a result, the sound that is projected forward features the middle and the bass lines more heavily. Closed back cabinets are great to be used for live performances, especially because it helps the guitarist/performer hear themselves a lot easier. Opened back guitar cabinets have a non-directional sound, which compliments the higher frequencies more than it does focus on the lower and middle tones. This is why open back guitar cabinets are often the choice of the two for in studio use. Shopping around for an amplifier should be fun, especially when you get to go in store and test out the different amps you’ve been debating between. At the end of the day, it’s incredibly important that you find the best amplifier for your personal wants and needs and not depend upon someone else’s opinion on what they think would work the best for you. If you have any more questions or want to do a little bit more research, come check out our other amplifier articles or some reviews!